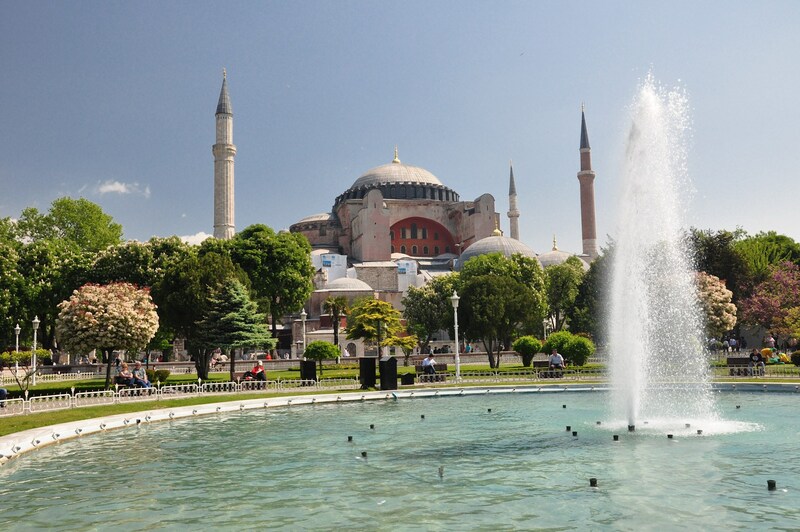 View of the exterior of the Hagia Sophia. The minarets were added 1,000 years after the first church was built here! Click on Image to Enlarge and/or Download. 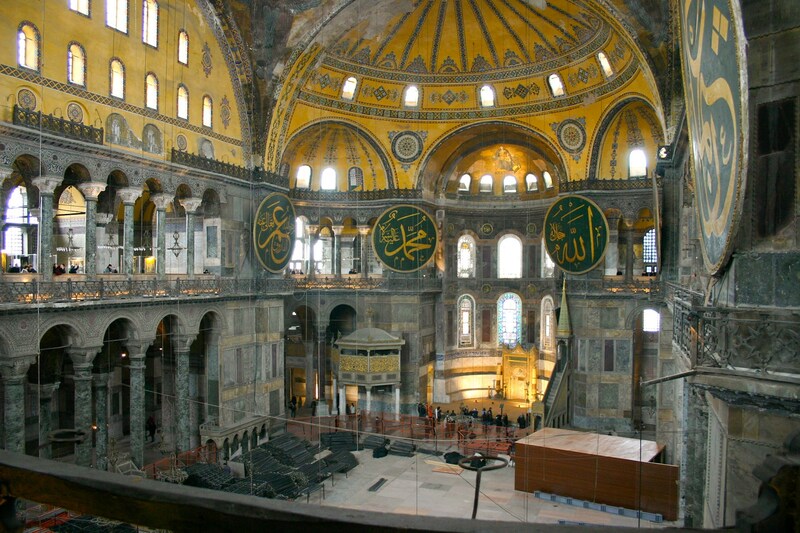 Interior of the Hagia Sophia—without scaffolding!! The roundels were added by the Muslims over 1,000 years after the church was built. They contain the names of Allah, Mohamed, and early Califs. Click on Image to Enlarge and/or Download. Harvard Loeb Classical Series — 60 Volumes! Good news, the authoritative Loeb Classical series is now ON LINE. Bad news, it is expensive! For individuals $150 for the first year, and $65 for subsequent consecutive years. However, some of you may be able to have your Institution subscribe to the Institutional version—Free 60 Trial Here. Please note that some of the site’s most useful tools are features of “My Loebs,” the personal accounts available to all authorized users. We’d encourage you and your patrons to create your own accounts (via the “Sign up” link at the top of each page on the site) so as to utilize the digital Loeb Classical Library’s full capabilities.